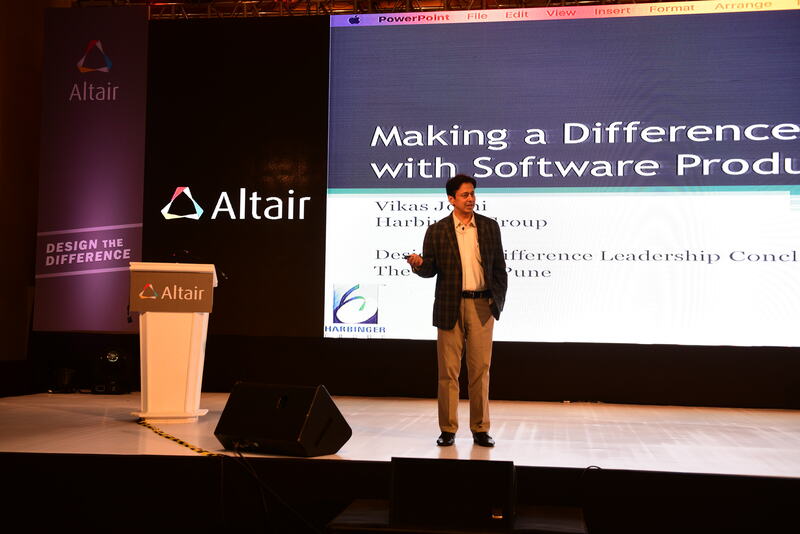 Dr. Vikas Joshi was recently invited as a speaker and panellist at Altair’s ‘Design the Difference’ leadership conclave in Pune. It was held on August 3, 2017 at The Westin Pune. Eminent industry leaders from diverse verticals shared their views, experiences and success stories at the event. Dr. Joshi spoke on the topic, “Making a Difference with Software Products.” He discussed his own experience at Harbinger with creating a differentiated product based on customer insights. Some of the other speakers at the event were Dr. Vijay Bhatkar, internationally acclaimed scientist and Chancellor of Nalanda University; Milind Shahane, SVP Projects, Tata Industries; Kapil Shelke, Founder and CEO, Tork Motors; Nagbhushan Gubbi, Head – Special Projects, Tata Motors, and Brett Chouinard, COO Altair. In a unique gesture, Altair planted five trees in honor of Dr Vikas Joshi at the periphery of the Sitamata Wildlife Sanctuary, Rajasthan.